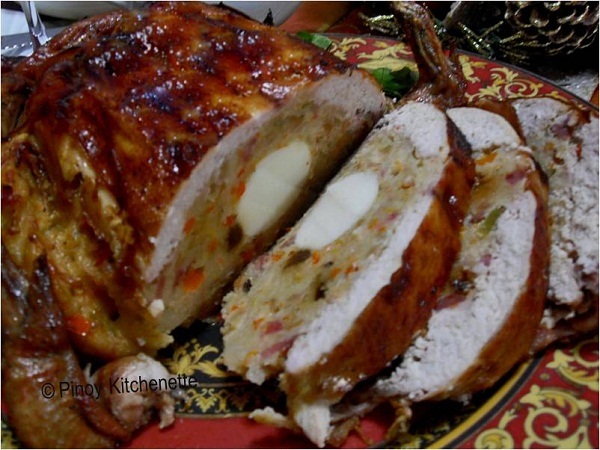 Chicken relleno has always been a feast to the eyes as much as it pleases our "panlasang pinoy". 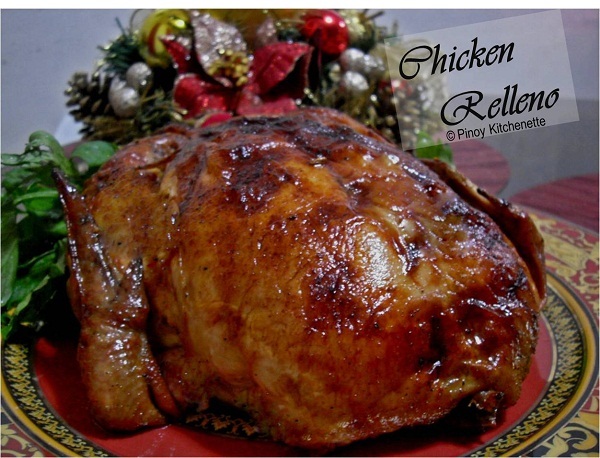 It has become a tradition, a part of our noche buena or Christmas dinner. 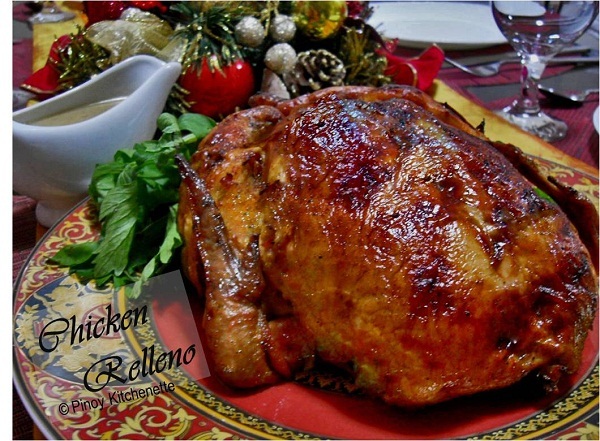 Some friends has always asked me how do I make my chicken relleno. Well I haven't posted it before either because it's gone in a flash (oh yes! that fast!) before I'd get a decent photo of the chicken relleno. Lucky me! This time,I was able to tap some hands who would want to get a pinch for a bite piece of this stuffed chicken :) This is what we had for Christmas dinner. This is really very easy to make. 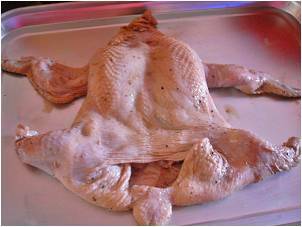 Fresh deboned chicken are available in the supermarket, so no hassle if you don't know how to debone a chicken - just buy a ready one! Then everything is just going to be just mix-stuff-bake/roast. 1. 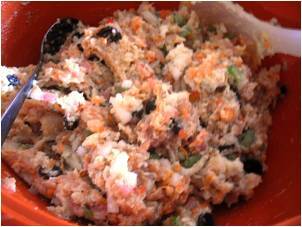 In a bowl, mix the marinade.Marinate the chicken for about 30 minutes to an hour. 2. 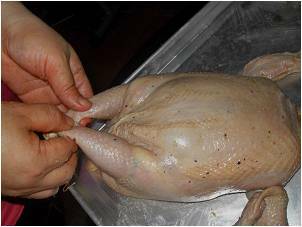 Lay the chicken in a flat surface as shown in the photo above. 4. Stuff the mixture inside the cavity. In the mid part squeeze in the hard boiled eggs. 5. 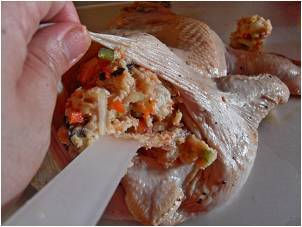 When done stuffing, seal the cavity with a toothpick or stitch them if you like. then tie the legs to keep it close together. After that, rub some butter and ground pepper. 6. [Sorry no photos, I forgot to took some on this part] Place the chicken in a roasting pan [or a rectangular baking pan], cover with foil. Baste the chicken every once in a while to keep from drying. Let the chicken cook for about 45 minutes more or until nice golden brown. Let cool for about 10-15 minutes before slicing. 8. 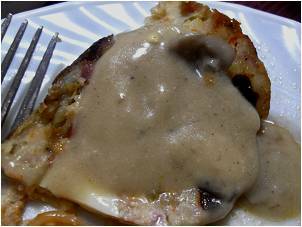 I love it best with mushroom gravy sauce. Yum! Thanks! 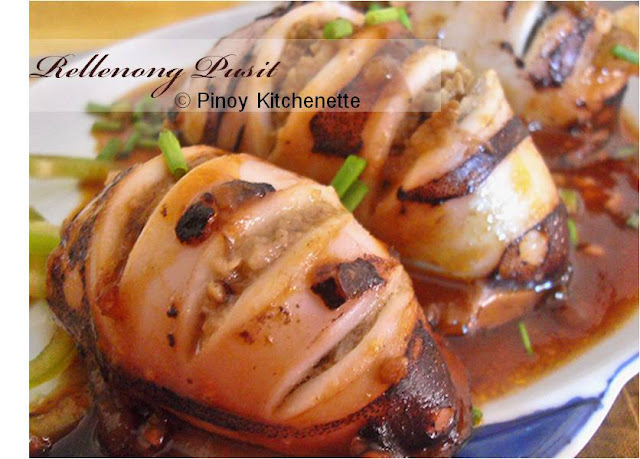 Just wanted to share the fun in preparing, and the joy once the food is cooked and shared and enjoyed by the family. here's how i do the mushroom gravy sauce.... saute mushrooms into spoonful of butter.then add about 1/4 cup of flour, stir and mix...add about 2 cups chicken stock. season with salt and pepper. cook until it thickens. Hi Marge,can i do the same thing using turbo broiler?thanks! Yes you can do it using turbo broiler. Basically same procedures. 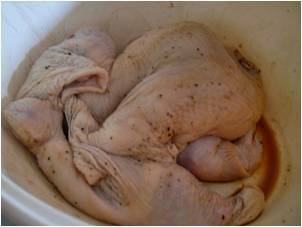 Is it possible to make and cook 2 chickens at the same time? What would the cooking times be? An hour do you think?